This week, Dr. Joseph Clarino of Sugar Hill Spine & Wellness will join the show to discuss chiropractic health, including athletic injury and chronic health conditions. Dr. Joseph Clarino was born in Jersey City, New Jersey, and raised in Toms River. He received his first chiropractic adjustment at 12 years old and immediately saw the amazing results the treatment offered. During his time spent at Towson State University in Maryland, Dr. Clarino played football and pursued a degree in Physical Education. He later enrolled in Life University and opened his own practice for chiropractic treatment following graduation. Dr. Clarino focuses his practice primarily on restoring health, but enjoys the challenges of athletic injuries and chronic health conditions. He is one of only a handful of physicians in the country certified in OTZ, a program that specializes in the treatment of Frozen Soldier Syndrome. He is also certified in Cox Flexion-Distraction, which works by restoring disc injuries. 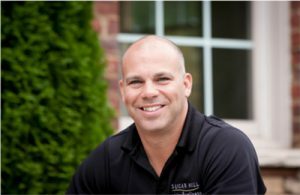 To learn more about Dr. Joseph Clarino, visit SugarHillChiro.com.